Today’s environment is so cluttered with digital advertisement that its almost blinding. Is it time to reel it in somewhat and take stock of what we can actually see. Marketing king, Jay Walker-Smith once commented that we are ambushed by at least 5000 ads every day. This has increased ten fold over the last 30 years. How many can you remember seeing today? The importance of print is a topic which has always been close to our hearts. So much so that we just can’t stop shouting about it. We’ve visited this topic before and probably will again. Call us ambassadors of print if you like but we really believe in the power of the print media. Embrace it and understand the marketing potential for your business. There is no point in generic print target practice, you’ll always miss. What I mean by this is don’t use print for the sake of using print. Be clever and efficient with your efforts. Focused and targeted campaigns work best. Be it print or digital, it doesn’t really matter. When planning a campaign or marketing strategy both should be seen as meaningful and valuable brand resources. The whole print experience offers your customers an entirely different experience than online channels. Take a look at these 5 reasons why we think print works. Many people often comment that when it comes to tangible media that there is nothing like the feel. Even the smell of a printed brochure, a poster, a card or in fact any other printed publication appeals to the senses. Once printed these items are with us until we decide to throw them out. Digital media is split second attention seeking. If you miss it chances are you may not see it again so soon. It can miss out on valuable eyeballs. 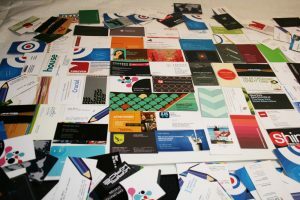 Print is a physical fixture that can be held onto and used later just like must have business cards. Print gives us a feeling of legitimacy. When you see your favourite magazine on the shelf or a book in a shop it becomes a credible tangible item. You can read it at any time and then return to it at a later date. And guess what? It will still be there with that next page ready to be read. Print requires physical ‘real estate’. If you place it somewhere whether it be on a street corner, your desk or an exhibition it can be viewed time and time again. Its physical presence alone gives it credibility. Print is an excellent way to showcase your brand. Showing your creativity is easier to do with print media. Aesthetic quality of great font choice, bold colour schemes and images all reinforce your image as a recognisable brand. Print can also be a great advocate of your brand’s online presence. It can integrate with digital and complete the new media suite. It is not only digital media that allows you to place your message in front of your target audience. 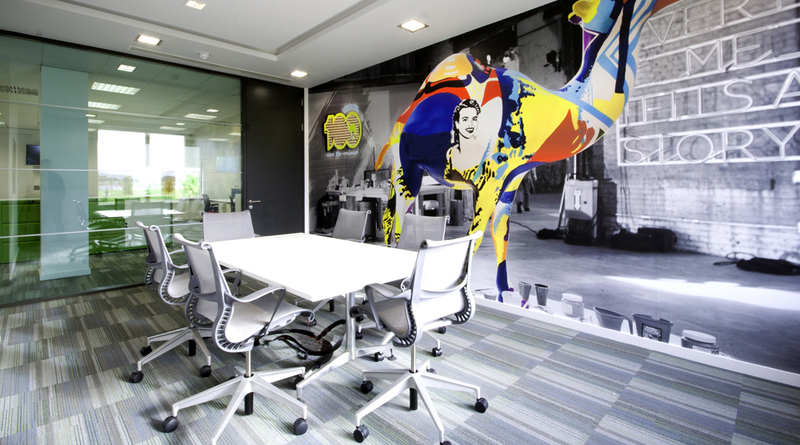 With print we can be creative and utilise the physical space available to us. 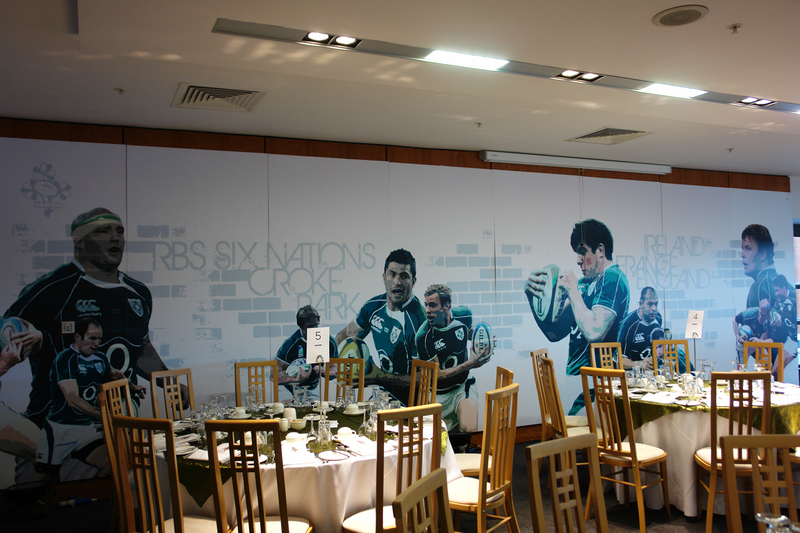 In some of our more Creative Projects at GP Digital we have utilised well the space allocated to the campaign. We can provide a solution where you see a problem. Print is versatile and can really show your brand off in a creative way. The problem with digital media is that it doesn’t hold attention for very long. Eyeballs tend to skim content when its digital making it difficult for any brand to get their message across. On the other hand print is usually read over a longer period of time. Digital media can be glanced atin as little time as 15 seconds but the average time spent reading a magazine for example can range from 20 – 45 minutes. We probably will keep coming back to this issue and raising the point – that print will always have a place in business. The most successful marketing strategies will always work best taking the a multi-channels approach including print media. Interaction between print and the online world are now becoming seamless. This integration proves that print sits well in the digital world. If you want to learn more about Creative Print Projects – Contact Us Today.